After what seems like centuries, Avril Lavigne is back on the music scene with her new album “Head Above Water.” Gone is the pop-punk queen we grew up with in the early 2000s, and what’s emerged is a grown woman looking to move on. “Head Above Water” is a testament to Lavigne’s resilience since her divorce. The 34-year-old and her second husband, Nickelback’s Chad Kroeger, split in 2015 followed by a bout with Lyme disease that left her bedridden for weeks the same year. The duality of this album, which is her first release since 2013, is interesting. The first half has power ballads that feature Lavigne’s quintessential belting abilities, while the second half shifts to upbeat tunes, including an unexpected Nicki Minaj collaboration and strong guitar melodies. The drumline beat that kicks off the song and girl power message mirrors Gwen Stefani’s 2004 “Hollaback Girl,” though it doesn’t have that catchy chorus that could take over the radio. Minaj’s contribution to “Dumb Blonde” is refreshing, but in the grand scheme of the album, it’s displaced. Though there are a couple of good tracks you could pick out (”Souvenir” has a more modern sound, and the slow-rolling beat in “I Fell in Love with the Devil” makes it the grooviest song on the album), overall, the album is forgettable. “Head Above Water” disappoints when looked at as Lavigne’s grand return to the charts. After six years of waiting, our expectations have risen, and part of me doesn’t think Lavigne could ever keep up. 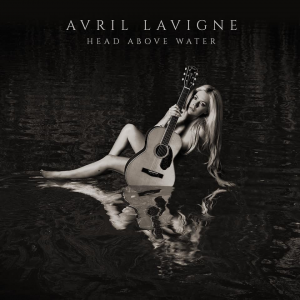 That’s not to say “Head Above Water” isn’t a good album. Lavigne proves she still has the chops to pull off the vocals that’s she’s had since “Complicated” and “Sk8r Boi” back in 2002. It’s just that we were all hoping for a bigger wow, and we didn’t get it.